Todd McFarlane, who co-created Spawn, has a bit of a chip on his shoulder when it comes to the 1997 live-action adaptation of his famous comic book character. He’s even made himself the mandatory sole director of any Spawn reboot, before anything can begin production. McFarlane, a prolific artist and co-founder of Image Comics, has been trying to get a reboot of his seminal comic series off the ground for a while. It’s to the point where in a recent interview discussing the project, McFarlane sounds like he has most of the details of the story and production down. “It’s slowly moving forward, just trying to put all the pieces together both from an artistic and a financial. The intent is trying to finance as much as possible internally and then finding partners who will help in the production of it as we move forward,” explains McFarlane. From the sound of it, however, McFarlane hasn’t been gripped by some grand dream of ambition either, insisting that he knows Hollywood producers won’t sign off on a novice director for a $100 million production like the ones being produced by Marvel and DC. Instead, McFarlane says he’s planned his story and production to be low-budget, even as low as $10 million, which would allow producers to comfortably sign off on him directing. “It’s not good business to spend $80 million on movie and then give it to somebody who’s not known for directing movies — but if you can make a movie for $10 million, they’ll get a lot of less experienced directors to do those movies.” It sounds as if McFarlane has given his reboot a lot of thought, and it’s not hard to fault his logic regarding the film’s proposed low-budget opening the path to him in the director’s chair. Even Fox’s Deadpool was a fraction of the cost of the X-Men films at $50 million. 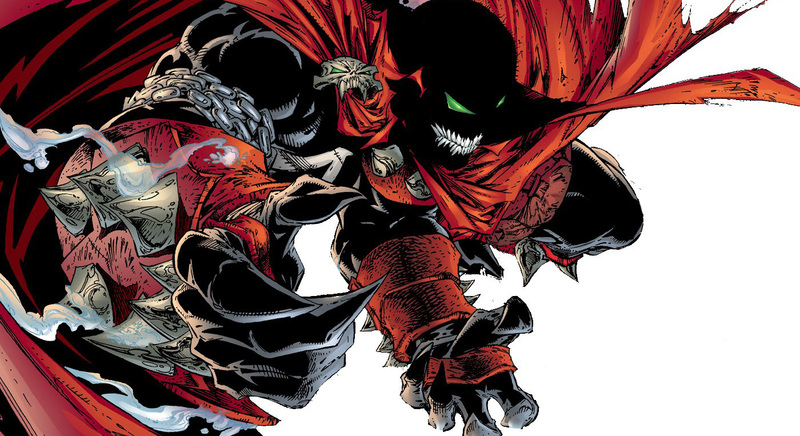 However, even McFarlane might be open to letting directors, specifically horror directors, at getting a shot to direct the Spawn reboot. Horror movies are notoriously low-budget, and notable auteurs like Guillermo del Toro, Adam Wingard (You’re Next), Mike Flanagan (Hush), Fede Alvarez (Don’t Breath), and Oz Perkins (I Am the Pretty Thing That Lives in the House) have worked with small budgets to create horror masterpieces. Surely one of them could convince McFarlane that they could bring to life his R-rated, true horror vision for the character.